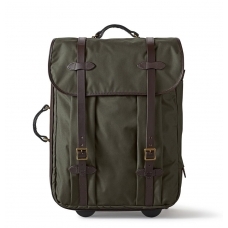 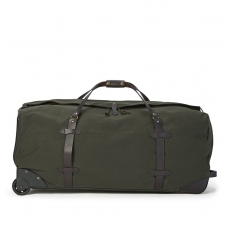 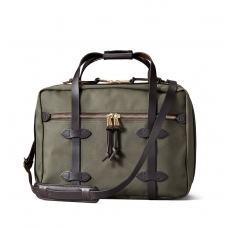 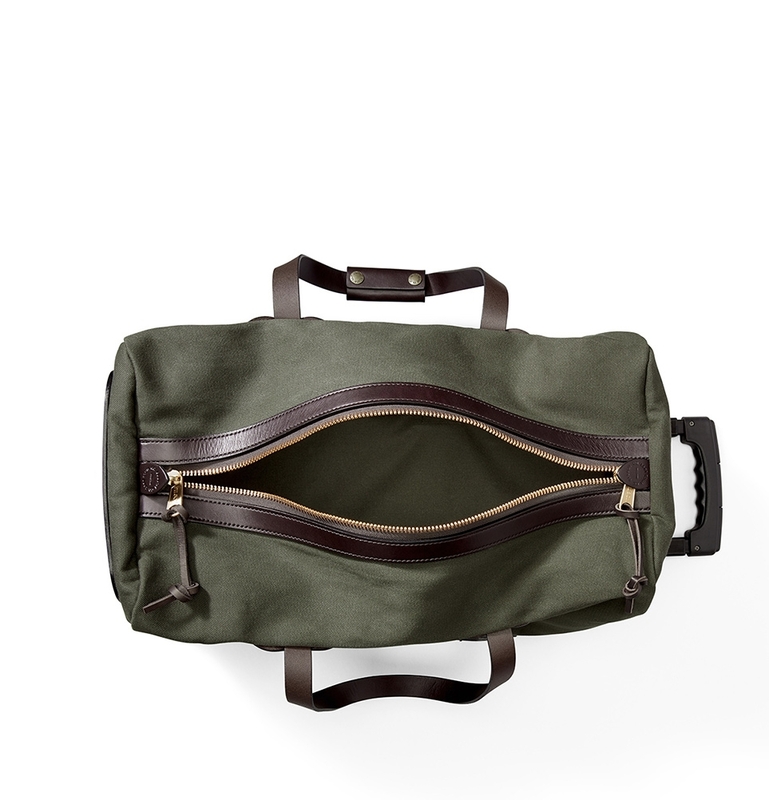 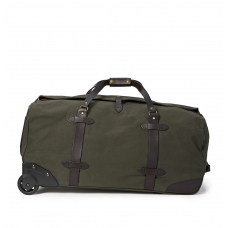 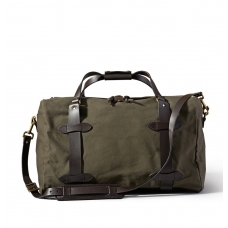 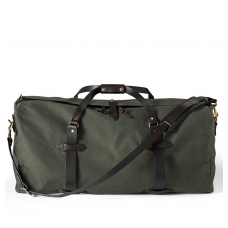 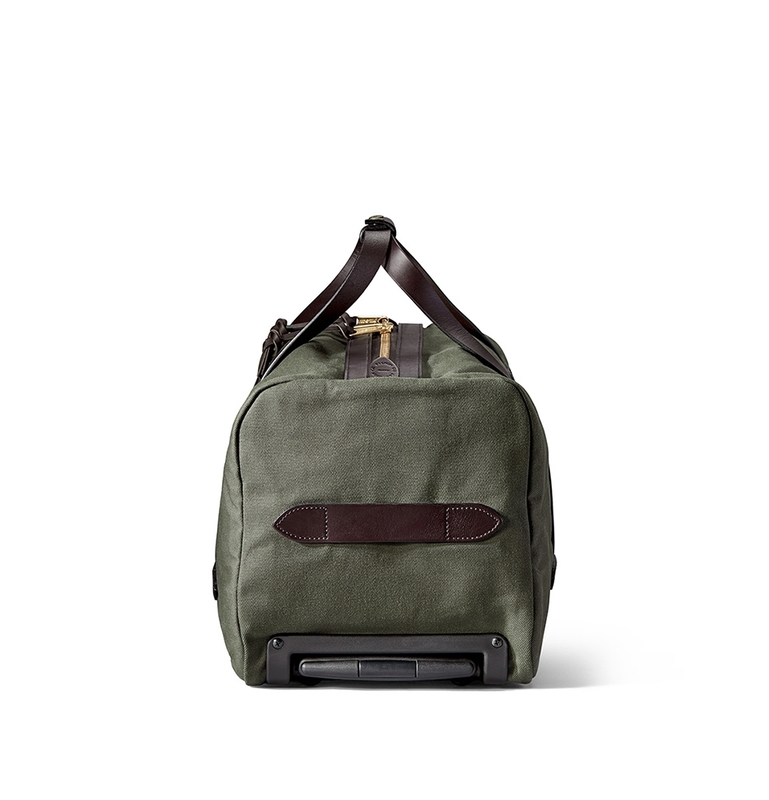 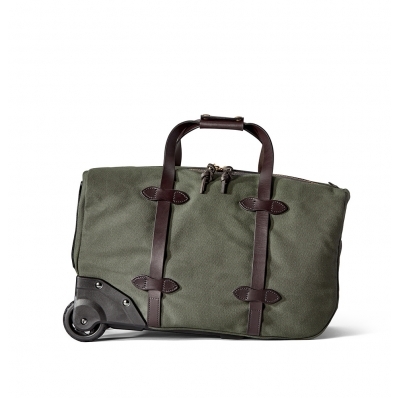 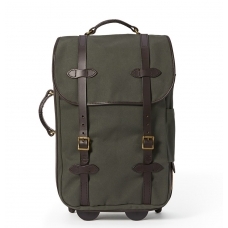 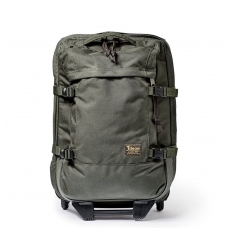 FILSON SMALL ROLLING DUFFLE OTTER GREEN 20002694, created for travel in style. 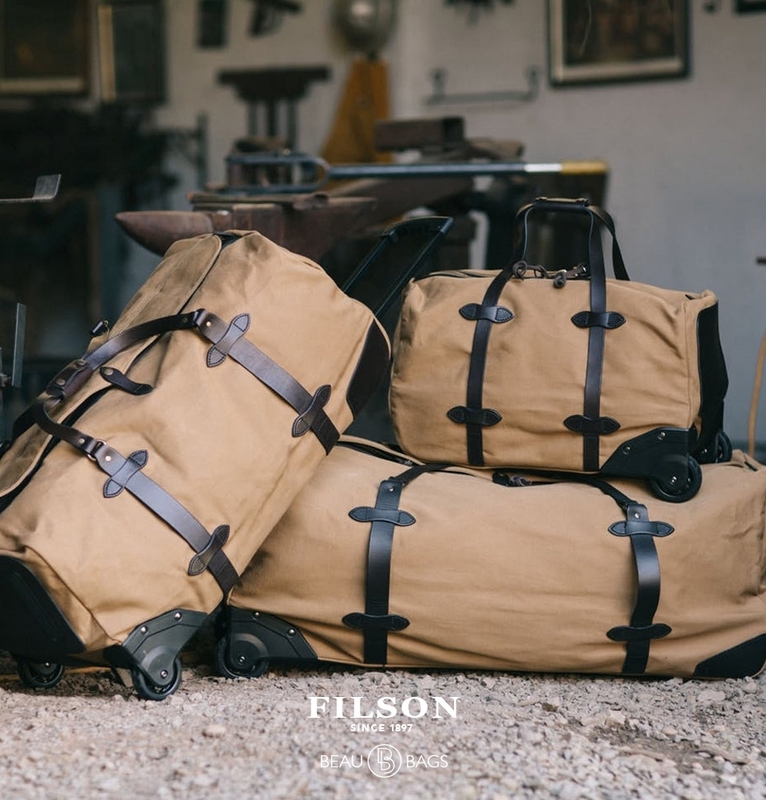 This heavy-duty, roomy Filson Small Rolling Duffle Otter Green has Bridle Leather reinforcements and stabilizing rails for added durability. 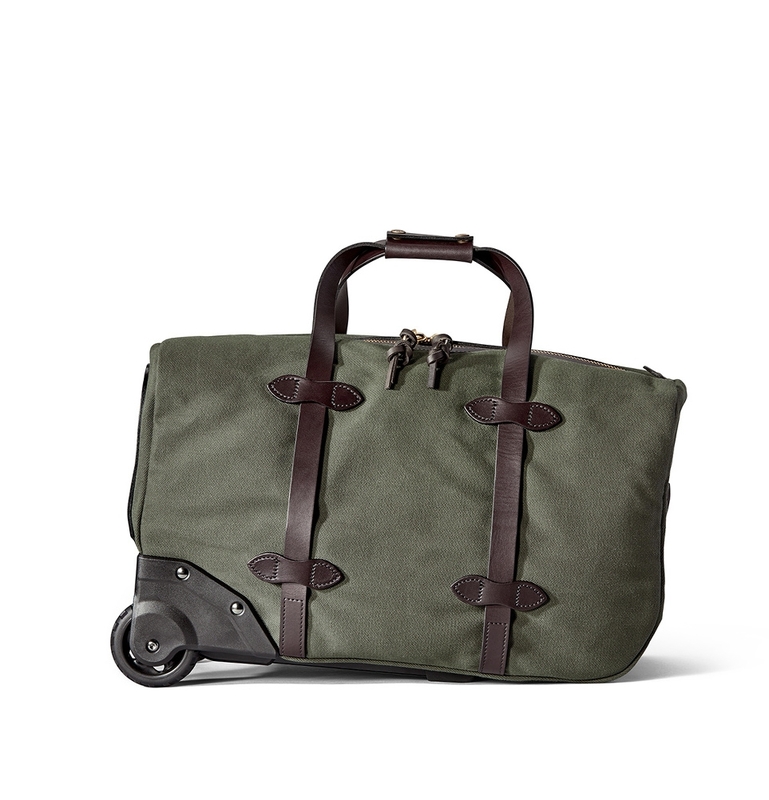 A wide wheelbase and two wide, ball-bearing wheels prevent catching on curbs, for use anywhere. 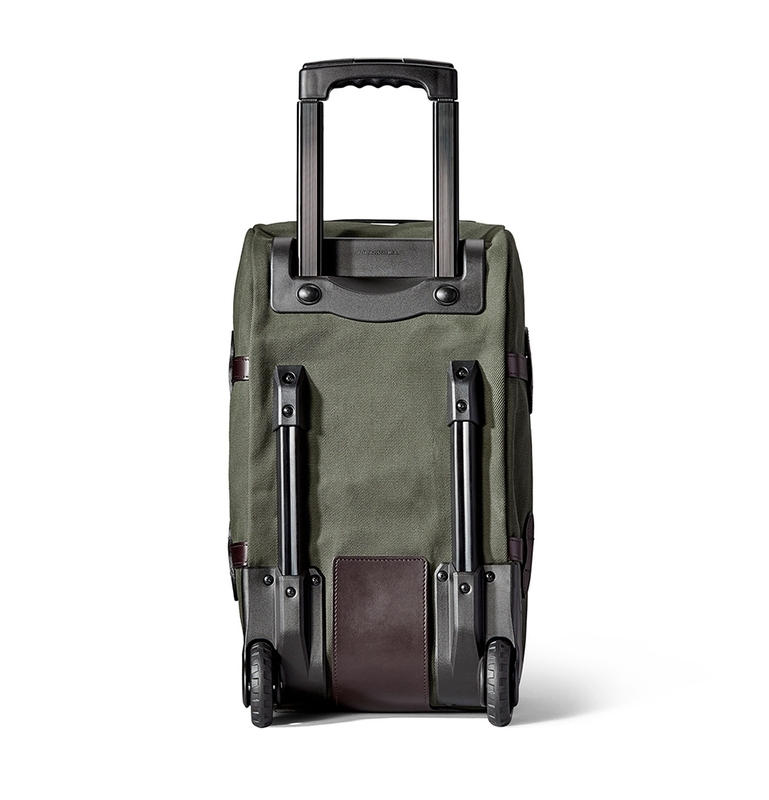 An 8-1/2" retractable handle offers ease of use with this high-capacity bag.